Shimano have refined the travel rod concept even further, with this excellent seven rod Revolution Travel series that are perfect for the highly mobile angler. Travel rods aren’t necessarily just for jet setters though. In the car, on public transport – even people who don’t know have a lot of storage space at home shouldn’t miss out on using quality fishing tackle. 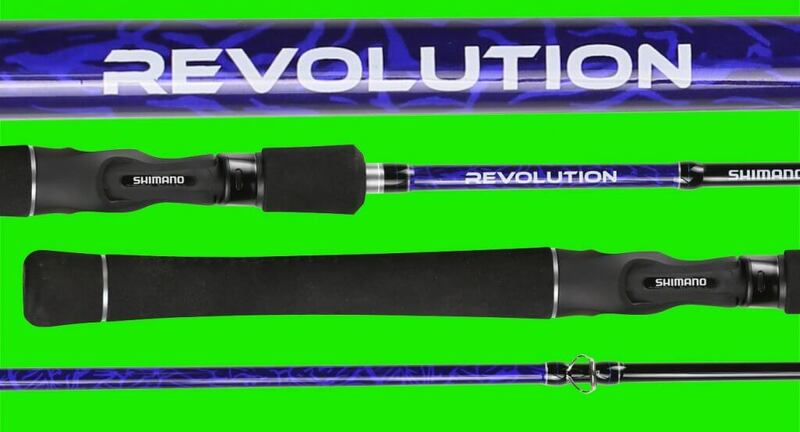 Like the standard Revolution series, the Revolution Travel line-up now feature soft touch reel seats for greater comfort in the hand, full and split custom shaped EVA grips where applicable, and Fuji O Ring Guides, where the insert is protected by the frame from knocks and scrapes. Most importantly in a travel rod though, the ferruling system is pretty well undetectable, and in no way diminishes the feel and performance characteristics of these great baitcast and spin rods. They all break down in to three pieces, with the 904 Spin into four.